1.Alternative - 1:43 scale white metal F1 kit. Kit consists of white metal parts, photoetched parts, turned parts, decal sheets, rubber tyres, stainless wire, windshield and silone. 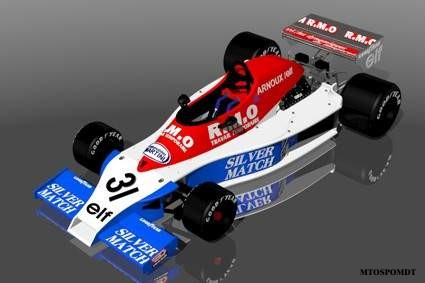 2.Alternative - 1:43 scale white metal hand-built F1 model assembling by MB modelars.